Prelude To The (First) Afternoon Of A Blog: 'Deceptive Cadence' : Deceptive Cadence From big cities to rural outposts, people can connect at Deceptive Cadence — to argue about the state of classical music, explore its many outer fringes, or hear new recordings and live concerts. Well here it is, the first day for Deceptive Cadence, NPR's newest music blog (cue the trumpet fanfares and pealing bells!). We could have called it simply NPR's Classical Music Blog, but the phrase "classical music" carries so much baggage — dead, old, white, European. It is, in a way, its own worst enemy. Instead, we came up with a moniker that suggests a more open-ended view of music that is not only still breathing, thank you, but vigorously evolving. There's a vast world of sounds both past and present out there — a thousand years of "new music," so-to-speak. That could mean anything from the soaring, intertwining lines of a Palestrina Mass, to the crushing hammer blows of a Mahler Symphony, or the clever weave of electronics and chamber music practiced by an outfit like Victoire. 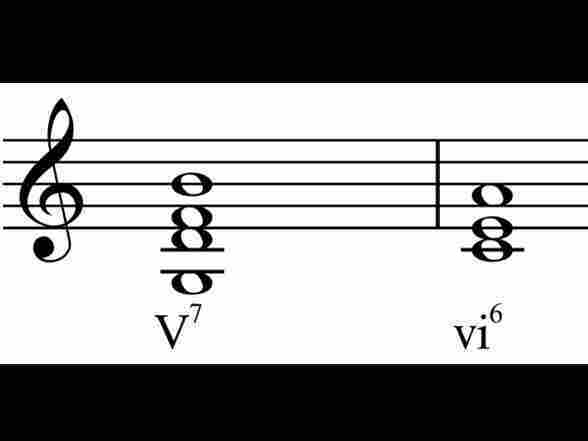 So, what actually is a deceptive cadence? Technically, it's an unexpected conclusion to a musical phrase. And I'm hoping that's just what this blog will do — keep you on your toes, with a few unexpected conclusions, perhaps, to a wide-ranging discussion between you, the musicians who'll be stopping by, and other first timers and fanatics who visit here. Naturally, we want to hear from you. Thanks to the internet, classical music is thriving in ways that we couldn't have imagined just a few years ago. From the biggest cities to the tiniest rural outposts, people of all stripes will connect at Deceptive Cadence — whether to argue about the current state of classical music, explore its many outer fringes, listen to new recordings and live concerts, or share a love of a particular artist. So please, join in the discussion and the discovery, and make sure to leave your "deceptive" and perceptive comments whenever you can.